One last big thank you to all our donors in 2009....stay tuned soon for some amazing statistics from the year, once we crunch some numbers and create some pretty graphs! This week we received 5047 cards from the following folks...you rock! Pat C and Pacesetters Stamp Group, Shalimar FL......ladies, thanks so much for the great box of cards!!! Diana KI and Robson Ranch Stampers, Denton TX.....WOW Ladies! What awesome cards. Thanks!! Jennifer M, Marshfield WI......thanks so much for the great cards. Love the Valentines Day cards!!! Teresa W, Daphne AL......thanks for the great cards. Love them! Anonymous in Richmond VA.....thank you for the great cards. Karen K, Murchison TX....these cards are wonderful. Love the shades of pink and red! Krista T and employees at Accenture,St Charles IL......thank you for these great cards!!! Thanks for taking time at your holiday party to make these. Baptist State Convention of Michigan.......thank you so much for this wonderful package of cards!!! Cindy J, Greenacres FL.......a great box of cards. Thanks for having them sorted by theme!! Greg B, San Diego CA - thanks so much for sponsoring so many boxes for your fellow heroes....we're so glad you enjoyed them so much while you were deployed! Cindy B, Dearborn Heights MI......thanks for the awesome box of cards. Love them! Teresa C, Campbell CA - thanks for the wonderful package of cards! Kathy C, Ilion NY and Mr M's class at Reminton Elementary School: your wonderful cards and letters will really make some heroes happy - thank you! Mali C, El Cerrito CA - thanks for both your fantastic packages of cards!! Chris C, Chicago IL - such pretty valentines, thank you! Esther E, Vancouver WA and Ellen H - lovely lovely cards, thank you ladies!!! Cindy E and the Elks Lodge - you're all so amazing, thanks for the great cards!! Penny G, Swall Meadows CA, your cards are so pretty, thank you! Stephanie G, thanks so much for your awesome package of cards! Melinda G, Sacramento CA - thank you for the shipping donation, and your support of your Mom's cardmaking! Joan J, Lodi CA - thanks so much for the shipping donation and your wonderful cards...our heroes will love them! Ann L, Orem UT - you are such a faithful cardmaker and donor to our cause, thank you soooooo much! Hugs! Nina L, Sacramento CA, thank you so very much for your lovely cards and your donation. What a blessing to know how much you love doing this for our heroes! Nancy M, Fremont CA - these cards are so cute, thank you for joining in the challenge! Shirley M, Ruidoso NM, what a blessing to get all these beautiful Valentines! Thanks so much for your donation as well! Cindy M, Pewaukee WI - fantastic Valentines, thank you so much!! Gurtha M, Lakeland FL, fantastic selection of cards, wow! Bless you! Cindee N, Harrisburg PA - what awesome cards! Thanks so much for the shipping help too! Lynn R, High River, Alberta Canada - such pretty, cards, thank you so much, Lynn! Donna S, Sheridan WY - thank you for your cards and generous donation - Merry Christmas to you too! Deloris T, W Salem OH, such sweet cards, thank you once again! Your donation and all the extra stamps for prizes are muuuuch appreciated! Jean U, Palmer AK - love all your cards for the challenge, thanks so much! Kay V, Jupiter FL - super cards, thank you so much! Diane W., Stoneham, MA - Your cards are beautiful and made with love - thank you so much! To our anonymous cardmaker in Flagstaff AZ - these are beautiful cards, thank you so much! TT: Traci B. and the ladies of Scrapbooks & Etc in Harrisburg, NC, thanks for all the cards! All 1000+ of them. It's a terrific variety, and a great start for the new shipper! Joan L, Waco TX - thank you so much for your generous donation! Wow! Seongsook D, Elk Grove CA - beauuuutiful cards as always, wow! Thank you so much!! Louise F, Frazier Park CA - oh, these cards are soooo pretty, thank you so much!!! Jann H, Ravensdale WA - these are such pretty cards, thank you sooooo much! Creating Keepsakes Conventions, Bluffdale, UT - The beautiful cards just keep on coming, thank you so much for your generous partnership this year! Thank you to the Missionaries of Life at Life Baptist Church in Charlotte, NC for your many cards for our heroes. What a wonderful mission for your group! Your work will bring many smiles! Debbie M, Sacramento CA - thank you so much for the generous donation! Chris T, Windermere FL - what an awesome package of cards!! Your donation is a big help too. Thanks for raising up a Marine hero! Ana T, Escondido CA - lovely Valentines, our heroes will love them all! Thanks for the shipping help as well! Denise W, Las Vegas NV, wow, thank you so much! 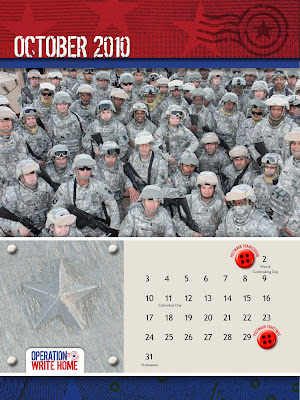 Pass on our gratitude to your sister too...our heroes will love these! Emily W, Marissa IL......another wonderful package of cards! Thanks for your continued support. Betty T, Salina KS.....Great cards!!! Love them! Mary H, Miamisburg OH......thank you for the wonderful cards and donation. Christine C, Warren MI.....thank you for the great package of cards. Appreciate the Any Hero letters! Sherry T and Peace Speakers, Colinsville AL....thank you for the great cards! Lynn P-R and Silver Stampers, Rockville MN....WOW! What great cards!!! Thanks so much. Angie L, Indianapolis IN....Welcome to OWH!!! Your first box of cards was great. These cards are beautiful! Susan C, Concord Township OH....thank you for the wonderful cards!! Much appreciated. Jess and Sandy C, thank you so much for another faithful donation! You're awesome! SuzAnn H, Salt Lake City UT - thank you so much for the donation....you're a blessing! Leah C, St Paul MN......thank you for another wonderful package of cards!! Linda K, Grant MI.....great cards and Any Hero letters. Thank you. Chris T, Windermere FL....Thank you to your daughter for serving!! 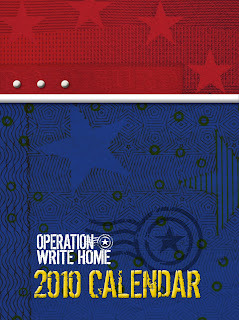 Thank you for supporting us so more heroes write home! Jane B, thank you so much for your end-of-year gift...our heroes will be blessed because of your generosity! Simsbury High School student council.......thank you for these awesome Any Hero letters!!! Much appreciated. Marianne C, Naches WA - thanks so much for sharing your talents with our heroes; these cards are stunning! Why do you make cards for our heroes? With the new year approaching, it's a great time to reflect on why we are all involved in helping our heroes through a program like OWH. Our shippers receive little notes on packing slips all the time, and it's an encouragement to know why you've joined the OWH family! What has your participation meant to you? Who shared OWH with you? Who might you invite to join in the fun? I'm packing up the 129 cards my 82 year old mother made with love. 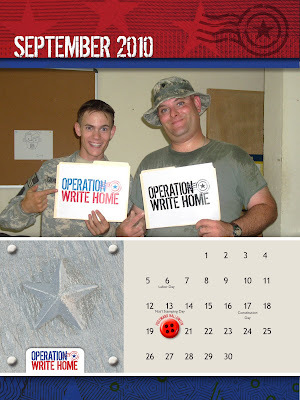 My sister, Christine W, found your site a few months ago and shared with us the wonderful work you're doing for our troops. Please know you are appreciated for the good you're giving to the troops as well as to us, those who want to help in some kind way. P.S. My mother's life has been enriched by this project—beyond words! Thank you! With the holiday last week, we have no card shipments to report, but stay tuned next week as we're back to packing up lots this week! Shipper needs this week are listed on our "Biggest Needs" post here. her favorite dress tied with a bow. and she couldn't wait to go. if she went to school alone. she knew just what to say. of why he wasn't there today. for her to face this day alone. she tried to keep her daughter home. eager to tell them all. a dad who never calls. a student from the class. every child turned to stare. a man who wasn't there. She heard a boy call out. another student dared to shout. as she smiled up at her Mom. who told her to go on. slowly she began to speak. because he lives so far away. since this is such a special day. I wanted you to know. and how much he loves me so. he taught me to ride my bike. and taught me to fly a kite. and ice cream in a cone. And though you cannot see him. I'm not standing here alone. and lay across her chest. her mother stood in tears. who was wise beyond her years. of a man not in her life. staring straight into the crowd. but its message clear and loud. but heaven's just too far. and taught Americans to fear. and saw him there that day. all starting to close their eyes. who knows what they felt inside. they saw him at her side. to the silence she called out. of those once filled with doubt. for each of their eyes had been closed. was a fragrant long-stemmed pink rose. by the love of her shining star. that heaven is never too far. All of the Paper Zone stores are collecting cards for OWH on an ongoing basis; if you'd like to save yourself some shipping, drop them off there! Please be sure to include a packing slip with your information if you'd like to get credit for them. And if you wish to make a financial donation, please mail it to our Federal Way address rather than leaving it in the package, since the cards will await pickup when there's enough to warrant a trip and we don't want that to get separated. I gazed round the room and I cherished the sight. My daughter beside me, angelic in rest. Transforming the yard to a winter delight. Completed the magic that was Christmas Eve. Secure and surrounded by love I would sleep. So I slumbered, perhaps I started to dream. But I opened my eyes when it tickled my ear..
sure sound of footsteps outside in the snow. And I crept to the door just to see who was near. A lone figure stood, his face weary and tight. Perhaps a Marine, huddled here in the cold. Standing watch over me, and my wife and my child. "Come in this moment, it's freezing out here! You should be at home on a cold Christmas Eve!" Away from the cold and the snow blown in drifts.. I'm out here by choice. I'm here every night." That separates you from the darkest of times. I'm proud to stand here like my fathers before me. My Gramps died at ' Pearl on a day in December,"
Then he sighed, "That's a Christmas 'Gram always remembers." And now it is my turn and so, here I am. But my wife sends me pictures, he's sure got her smile. The red, white, and blue... an American flag. Away from my family, my house and my home. I can sleep in a foxhole with little to eat. Or lay down my life with my sister and brother..
To ensure for all time that this flag will not fall.."
Your family is waiting and I'll be all right." "Give you money," I asked, "or prepare you a feast? For being away from your wife and your son." "Just tell us you love us, and never forget. To stand your own watch, no matter how long. To know you remember we fought and we bled. That we mattered to you as you mattered to us." We have so much to be thankful for this Christmas Eve....and we're so grateful for all of you cardmakers! You put thousands of cards in our heroes' stockings this year, 1884 just this week, and made so many families happy! Note: Sandy's been on vacation, so the cards sent to WA will be listed here next Thursday when she's home and processing them! Jennifer C, Jim Thorpe PA......thank you for gathering the children of your group and making Any Hero cards. These are wonderful! Ann F and friends, LaGrange IL........WOW! What a pretty box of Valentine's day cards. Thank you!! Jean U, Palmer AK, thank you so much for your generous donation! Sara Nell L, Thomaston GA....Welcome to OWH. Your first package was awesome!!! Love these Valentines cards!! Susan M and girls of Girl Talk, Mt Pleasant IA.......WOW! Great cards. Thank you so much for making these. Hannah M, Naples FL......thank you for the great package. Cards are beatufil and Any Hero cards are awesome. Anyta P, Phoenix AZ......thank you for the cute cards. Love the googlie eyes!!! Kathy R, Livonia NY......thank you for the beautiful Valentine's Day cards. Love them. Cindi U, Larned KS.....thank you for the Christmas and AnyHero cards! Brian W and confirmation small group at First Lutheran Church, Janesville WI......thank you for the wonderful cards. Much appreciated. Renee E, Janesville WI, thank you so much for the donation! Jolie E, Grand Forks ND......an awesome package of cards!! Thank you to you and your stamping group. Lisa M and Girl Scout Troop 1585, Milwaukee WI.....thank you for the great Valentine's Day cards. Our heroes will love writing notes home on them. Temple Rodef Shalom, Falls Church VA.....thank you so much for having the kids make Valentine's Day cards for our Heroes. These will make them smile! Thomas College, Waterville ME......thank you for the awesome Any Hero cards. Jennifer B, Bismarck ND.....thank you for all the great cards and different themes. Helen M, Spring Creek NV......WOW! What a great package. Thank you so much for all the card and Any Hero letters. Robbie R, Hollywood MD.......thank you for the great Valentine's day cards.. Love these! Kathay P, Humble TX - thank you for your generous donation!!! Laura T, TX - thank you for the GENEROUS donation!! Vici T and the employees at JC Penny, Plano TX......WOW! What a great box of cards. Nice and bright....Love them!!! Nancy H and Stamp4Joy group, Fallston MD......thank you for these great miss you cards! Love them. Michele S and KidsPeace Berks Campus, Temple PA......thank you for making these wonderful Any Hero cards!!! Diana K and Robson Ranch Stampers, Denton TX.....WOW Ladies! What awesome cards. Thanks!! Merry Christmas - from our heroes! This video was made in partnership between OWH and a number of our contacts! Some of our heroes had been asking what they could give to our cardmakers, since they were so grateful for all the beautiful work that's poured into the cards we send them. And since we know all of you love photos so much, we brainstormed the idea behind this video. So photos were requested especially from those who'd received holiday cards in the last few months; and over the course of the last few weeks they poured in! You can tell they had a lot of fun shooting them. For those who want a little technical detail about how this was made: The photos were processed to remove names on uniforms to preserve our heroes' privacy, as well as editing detail in the images that could cause harm; the Department of Defense has OPSEC guidelines (Operational Security) and we didn't want to cross that! Some of our heroes were standing in their workplaces with some items on walls or whiteboards that probably shouldn't end up on YouTube. The silhouettes were created in Photoshop, and slides were developed in InDesign and exported as high res jpgs. Those were imported into iPhoto, and when the movie was created in iMovie, it pulled in those images. Technical difficulties in uploading caused some delay (the plan had been to get it launched over the weekend! ), but the thrill of getting it posted this morning outweighs all that! Last photo is the best one...my boss! The Battalion Commander, LTC G. H., actually took direction from me and allowed this photo shoot to happen. At first he wasn't so sure about doing it, but when I told him it was for the lady that sends all the handmade cards, he immediately put on the santa hat and let me click this photo! You get respect around these parts, lady. Thanks so much for all the wonderful cards! 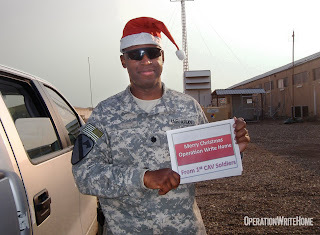 So...Merry Christmas from our heroes around the world. They truly do appreciate all that you do to support them — keep up the great work! Merry Christmas! This week the Post Office in Washington got a special treat — they work so hard in processing all of your packages that arrive, as well as those that are sent out....so they received cookies and a card. The small one fit into Sandy's small box for her carrier, with a packet of cookies; the large one went to the Post Office itself with the huge box of cookies. And you know whose photo had to be inside....our smiling Marine! 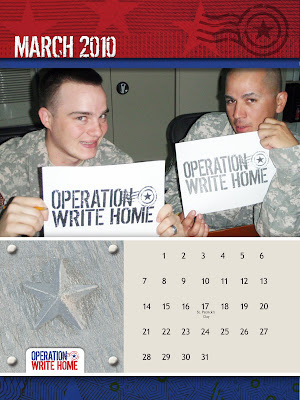 Scroll down a few posts to see the calendar you can download with all our deadlines for 2010! Shipper needs this week: Now listed on our "Biggest Needs" post here. A quick FYI - Sandy's on vacation (enjoying the 2-foot snowstorm in Maryland! )....mail's being held at the Post Office til she returns so the housesitter can focus on the cats and not on where to pile all the mail! Any guesses on how many trips to the PO will be needed to retrieve the mail? Send in a package to add to the fun! And he's got a gift for YOU, cardmakers! Our Facebook fans have spent the week guessing at what it might be....and it's been too much fun making them wait (yes, Sandy has a sneaky streak!)!!! Yes, it's a calendar! Complete with (of course) photos of our heroes. And with OWH holiday card deadlines. And the actual holidays. And a snazzy patriotic design! What a beautiful piece to decorate your craft room! It would also make a fantastic gift for your stamping friends for Christmas, too. And what's more - it's FREE! You can download it and print as many as you'd like! Click on the cover photo above to download a pdf version....it's a HUGE file, so at the end of this post are also jpgs you can download individually if you prefer. (You may just want to print them month-by month). And in between are some photos of the calendar "in use" - and a little description of how they were made or intended to be used. First is a standard wall calendar above. The pages are printed at 75% of the size, and were attached at the top with a 3/8" wire with a Bind-it-All. Office supply and copy shops near you may offer binding services at a reasonable price to make one calendar. This one has a ribbon to hang it from a nail on the wall. Note: Each calendar here was printed on color copier paper, of course on a color copier. Photo printers should also work well! These are all printed at 75% of the final size; test one page yourself and see what size you want to try! Next we printed it again at 75%, and tacked it to a bulletin board on a field of navy blue cardstock. It's an especially easy solution if you don't have a way to bind the pages! You might even do something like this with magnets on your refrigerator — a magnet might not be strong enough to hold through all the pages, but might work for one or two at a time! Bind the pages on the side and you have a desk calendar. Make notes on the opposite side when you mailed a box, help yourself keep track of your goals, mark your cardmaking parties on it...another great option to use our calendar! You might want to give it a heavy front/back cover with chipboard or cardstock. 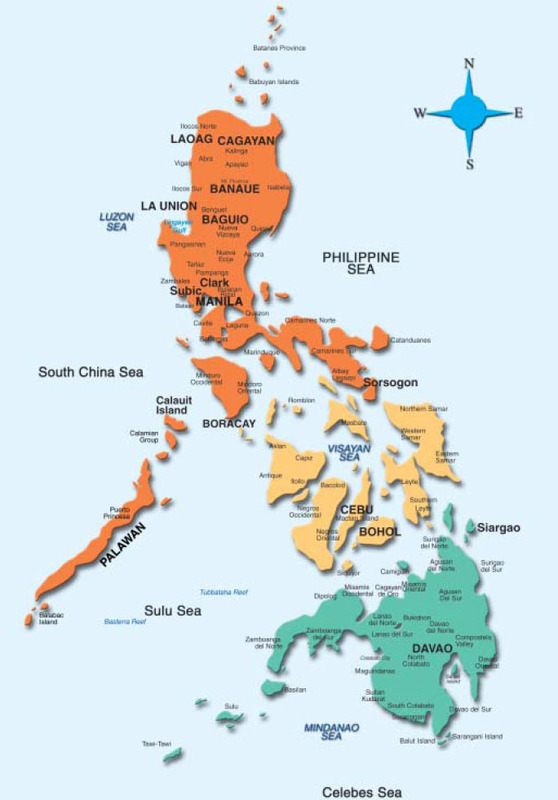 Another idea which isn't shown here --- but we know you're up to the task! 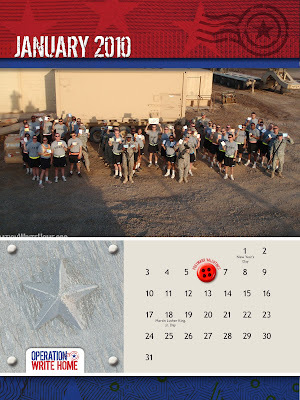 --- is to start with our calendar file and make it your own! Add embellishments. 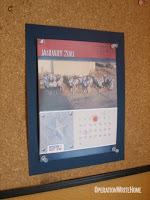 Use just the photo and calendar sections and fill the other rectangles with patterned papers. Use some adhesive or diecut lettering. Whatever you want to make it YOURS! Be sure to show us a photo, we'd love to share it here and on Facebook with everyone else too! And if you find another way to "use" the calendar, show us that as well! Following are the individual jpgs; click on the one you want to download and it should open in a new window; then right-click to download it to your desktop! One final note...Sandy's on vacation right now. Hopefully Mom won't look at this blog before the big surprise (shhhhhh! )....so if you have problems downloading the files (or if links are broken etc), please be patient. Your questions will get answered as soon as possible. Try the Facebook Fan Page if you need immediate help, lots of friendly folks there! We're decking the halls here in advance of Santa's arrival...what do you think of our little OWH tree? Come back tomorrow to check out Santa's present for you! Thanks to all those who sent 5,789 cards this week!!! 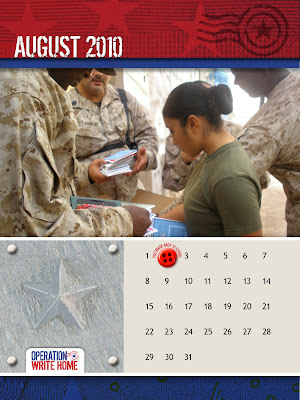 Leslie M, Kailua HI - wow you've been so busy for our heroes, thank you!! SuzAnn H, Salt Lake City UT - awesome job on your cards as always, thank you!! Thank you to our anonymous donor in Chehalis WA - great cards!! Marci S, Woodinville WA - super collection of cards, you've covered the whole year! Awesome! Anne C, Orem UT - wonderful cards, bless you!! Michele & MacKenzie M, Macomb MI......these cards are gorgeous!!! Thank you so much!! Ms Tanner and kids at Friendswood High School, Friendswood TX......thank you for the wonderful Any Hero cards. Our heroes will love them! Ms Mikly, East Jordan MI.....thank you for the beautiful cards! Virginia H, Hamilton OH - WOW! You must have started this many Valentines and AnyHero cards LAST February - thank you so much! Your uber-generous donation is much appreciated! Candy M and the Stampin Sisters in Christ, Picayune MS - super cards, bless you all! Karen Mc, Dearborn MI, thanks so much for the great valentines and bday cards - have a great time in Texas! Peggy K, Albuquerque NM.....thank you so much for the beautiful cards!!! Love them! Mary S, Taunton MN....another great package of cards!! Thank you so much. Linda T, Kingwood TX.....thank you so much for the great cards and for having kids write Any Hero letters. They are wonderful! Becky Jo M, Gardners PA - another great package, plus so many AnyHero letters, treats, and a donation - thank you! Nancy F, Trexlertown PA.....what an awesome package of cards. These are gorgeous! Jeany F, Webb City MO....Great cards!!! Appreciate the Any Hero cards as well. Kathy C, Mrs Laudenstein's 3rd graders, Mrs Balash's and Miss Ciacoa's 4th graders at Remington School, and St Augustines Church - thank you all soooo much! The cards are beautiful, and the AnyHero letters from the kids....*sniff* Beautiful! Karla M, San Diego CA - suuuuper package of cards, thank you so much! Michelle P, Kihei, HI - Mahalo! Your cards are so cute, thank you! Danyse K, Charlotte NC....thank you for the great cards!!! Roxanne I, Greeley CO....beautiful cards!!! Thanks so much. Kay C, Minnetonka MN......Another great package of cards! Beautiful!! Kristin K,Largo FL......Great cards!! Thank you so much!!! Donna R, Blythewood SC.....thank you for all these thinking of you cards. They are great! Traci O and kids at Operation Military Kids, East Lansing MI.....another great package of Any Hero letters. These are awesome! J Hull and kids at Sunbury Middle School, Sunbury PA.....thank you for the Any Hero cards. Our heroes will love them! Vicki A and Cub scouts tiger den #5, Delton MI....thank you for the great cards and Any Hero letters! Debb R, Scotia NY - super first package of cards - welcome to the OWH family! Patricia F, Hixson, TN.....WOW, there sure were a lot of cards in that small box! These are gorgeous! Thanks. Debi R, Bainbridge NY - awesome first cards! Great job! Thanks for the shipping help too....welcome to the addiction! CSEA, Ilion School - thank you soooo much for your generous donation!! Pat D, Seaford DE - perfect timing with your box of cards! I needed to get one more out this week and your selection was GREAT! Your donation is muuuuch appreciated too! Becky and kids --- Fantastic letters!!! You're making a lot of heroes very happy, thank you! Louise H, Suisun City CA - beautiful cards, thank you so very much! Judie F and Paula P, Coeur d'Alene ID - you ladies make such pretty cards! Thanks so much for the generous donation too!! Mary Ann S, Fontana CA - your cards are so CHEERY! Awesome job as always! Darlene M, Ridgecrest CA - your cards are simply lovely! Thanks so much for the donation as well, bless you! Debbie T., Family Memories, Charlotte, NC - Thank you for your entry into the 25+1 challenge, we appreciate your donation! Anonymous Cardmaker, Charleston, SC - Thank you for the beautiful cards! Wendy K. and Lockheed Martin, Moorestown, NJ - Thank you for the box loaded with any hero letters waiting to spread some cheer to those so far away! Ms. R., Pittsfield, ME - Thank you so much for the great package of Valentine's Day cards! Dorothy B and WINGS, Corpus Christi TX......thank you for the AWESOME box of cards. These are gorgeous! Kim P, Nantucket MA.....thank you for the Any Hero cards. They are much appreciated! Therese D, Lewiston ME.....great Valentine's cards. Thanks for contributing to the December challenge. Patty C and Stamp-Patty's, Moosup CT........WOW! What an amazing box of cards. Stunning cards and lots of them. Thanks! Carole Ann S, The Woodlands, TX......Oh My! This box ROCKS! Gorgeous cards, awesome Any Hero cards.....thank you so much! Rebecca W, Surprise AZ - awesome cards, thank you so very much! Ms. Martha G and the 5th and 6th graders at Edu-Prize Charter School, Gilbert AZ - wow! You all did an amazing job on your cards, thank you!! Genevieve G, Springield MA......thank you for the GREAT cards!!! Nicole D, Pflugerville TX.....these are great cards! Thank you. 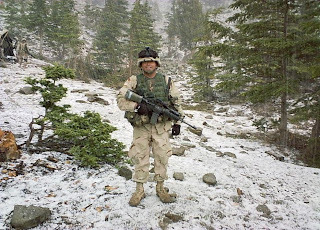 Dawn M., Family Memories, Charlotte, NC - Thank you for blessing our heroes with your wonderful donation, and shipping funds too! Lori H. and the First Baptist Church Narragansett, Narragansett, RI - Thank you for the very generous donation, as well as the great cards too! Karen H, Monticello MN......Stunning cards!!! Love all the pearls you used. 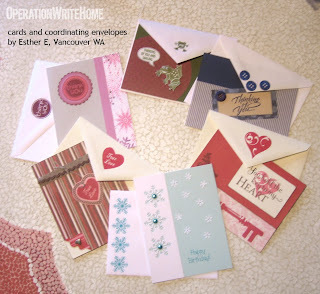 One of our cardmakers, Esther in Vancouver WA, sent in a big box with the sweetest decorated envelopes! Just had to show you a few of them - they're so easy to customize, and she did a lovely job making them all so pretty! Click on the photo to see them a little closer up. So be good for our heroes' sake! You love America's heroes, you do! Enough of the bad poetry....Santa's coming! Santa's coming! And he has a gift for you! Yes, you, cardmakers. You've been so good this year, made so many beautiful cards, and passed on so many smiles to heroes and their families. Santa thought it'd be nice to treat you to a little something. Stay tuned right here on the Homefront Blog this Friday....Santa's gift will arrive here in the wee hours! Our Facebook fans are busy trying to guess what it is...how about you? What do you think it is? 4,120 cards sent overseas this week....we're nearly at 300,000 cards! Will we hit that by the first of the new year? Who knows! Double your giving - at no cost to you! Some of you — or your spouses — may work at companies who match employees' philanthropy! Some match a few hundred dollars, some match thousands...some match the same amount, some twice as much! Don't leave a benefit on the table...whether your giving is to OWH or to other charities you believe in. It's practically like having a money tree that stretches your own impact! If you have questions or need help once you get your company's form, email us and we'll do what we can to help; we're still planning on sending receipts for 2009 donations in January, but if you need something sooner for this, we'd be happy to help! 4,383 cards were received this week...thank you all so much! Cathy B, Columbia SC......awesome cards and Any Hero notes. Much appreciated!!! Bonnie C, Spring TX, thank you so much for the donation! Karen K and Central Baptist Church, Murchison TX.....an awesome package of cards!! Appreciate all the Any Hero cards too. Linda M,Marietta GA......WOW!!! You sure have been busy. These cards are wonderful!!! Tzigana M, Spring TX, your generous shipping donation is a blessing, thanks! Nancy S, San Jose CA - thank you so much for the generous donation! You're a blessing! Betty and Marilyn S, Columbus OH......thank you ladies for another great box of cards! Phyllis W, Auburn WA, thanks so much for all the wonderful AnyHero cards - they'll bring smiles for sure! Jennifer W and Scrappers Give Thanks.......WOW! Two large boxes of card and beautiful ones at that. And lots of Any Hero cards too.......THANK YOU! Maude B, Las Cruces NM.....great cards, love the Valentine's Day ones! Kelly B, Apple Valley MN.....thank you for the beautiful cards and Any Hero notes. Seongsook D and friends, Elk Grove, CA, thank you sooooo much for all the fantastic AnyHero cards for TWO shippers!!! Oh my, so wonderful! Deanna L, Chocktaw OK....thank you for the Any Hero cards and the donation. Much appreciated! Joan L, St Maries ID - love your cards (or should I say cods! So cute!) Your shipping donation is a huge help, thank you! Polly P, St Paul MN...Love these cards!! Very pretty! Jamilie R, Marietta GA.....thank you for the gorgeous cards!!!! Love them. Gloria S, Renton WA, thanks for the great cards dropped off at PZ - you're a blessing! Joan W, Tacoma WA - thanks for the wonderful cards you dropped off for us at PZ - great selection!! Michelle J, Orion MI.....thank you for the beautiful cards! Rhonda M and children at Willow Elementar, Grantsville UT, thanks sooooo much for the GREAT AnyHero letters!! You rock! Kids at Troy Christian Schools......great job on the Any Hero Christmas cards. They will definately bring smiles to our Heroes faces! Marilyn P and Embroidery Addicts, Columbia SC......Ladies, thank you for the wonderful package. Cards are gorgeous and all the Any Hero cards are great. THANK YOU! Kids at Troy Christian Schools, Troy OH......great job on the Any Hero Christmas cards. They will definately bring smiles to our Heroes faces! To our donors in Los Angeles CA - wow, what a box full of love, thank you so much!! Rhonda M, Grantsville UT - another envelope of great letters from kids, thanks soooo much! Cathy D., Newtown, PA - Thank you for your first package, the cards are wonderful! Hope there are many more to follow! Lake Braddock Secondary, Burke, VA - Thank you to the wonderful 8th graders who made those wonderful cards, our heroes will love them. Cheryl B., Manchester, NH - Thank YOU for all that you do - a wonderful package of cards and donation too, bless you! Debbie T. and Dawn M., Family Memories, Charlotte, NC - Thank you for the great box of cards, our heroes will be so happy! Deloris T., West Salem, OH - Wonderful cards, thank you so much! Holly B., Orchard Park Elementary School, Rock Hill, SC - Thank you for the great any hero cards and regular cards too - much appreciated! Jennifer H., Laurel, MD - your cards are so beautiful, thank you so much for them and your shipping donation too! Jessie H., Apex, NC - Thank you for the lovely cards, they are awesome! Joan J., Lodi, CA - Thank you for the amazing cards and shipping donation! Girl Scout Troop 1539, Raleigh, NC - Thank you for the wonderful any hero cards! P.B., Baldwinville, MA - Thank you for the any hero letters - they will cheer up our heroes! Cub Scout Pack 311, Den 5, Venice, FL - Thank you for the great any hero cards! Sharon T., Ijamsville, MD - Thank you for the wonderful cards, they are wonderful as always! Barb S, Torrance CA - thank you so much for your generous donation....what a great gift for our heroes! Denise W, North Las Vegas, NV, it does indeed look like you had fun with the kids cards---what smiles these will bring, thank you! Jaime M, Spokane WA - your beautiful springy cards make me wish us right past this cold weather....so cute! Thanks so much for your generous donation too! Khan A, Inglewood CA - what a great package full of love - you've just made a lot of families so happy for Valentines Day! Central Blvd School 5th graders - thank you so much for your super cards!! Our heroes are going to LOVE getting them! Brenda R, East Bethel MN.....thank you so much for the gorgeous cards. These are fabulous! Candace M and Stampin' Sisters in Christ, Picayune MS......thank you for the gorgeous cards!!! Cindy M, Normal IL.....WOW, another fabulous package of cards. Thank you so much for the donation as well! Deborah J, Bolckow MO.....WOW! A large and very heavy box of cards. Thank you so much for all the variety of themes. Linda W and Journals of the Heart, Brookings SD.....thank you for the beautiful cards. Love them! Lisa L and boys of Cub Scout pack 16 Den 8, Montgomery AL.....thank you for the great Any Hero Christmas cards. Our Heroes will love them. Sarah K and Scout Den 10 pack 899, Fallston MD....thank you for the wonderful Any Hero cards. Great Job! Traci O, East Lansing MI...thank you for the Any Hero cards!! Christine S and kids at Ethel R Lawrence Education Ctr, Mt Laurel NJ......thank you for the wonderful Any Hero letters!!! Jamie E and all the wonderful kids in Brodhed WY - suuuuuper AnyHero cards! You're such talented artists, thank you for sharing with our heroes! Pearl Harbor Day Tribute: Poetic Mystery! On this Pearl Harbor Day, a tribute about a well known poem and its mystery authorship! Who has given us freedom to protest. Who allows the protester to burn the flag. Many of you may well have seen a version of this poem, attributed to Father Denis OBrien, veteran of the Marine Corps. In doing a little digging, it's actually authored by Charles Province, Army Veteran. Father OBrien had once submitted it to Dear Abby and got credit, and it's hung on with his name. If you ever republish it or forward it in email, please be sure it's credited properly. However....on this Pearl Harbor Day, how about a double tribute? Both are heroes in their own right and have served our nation well! Father O'Brien's story includes his Pearl Harbor connection, so is quiate appropo for the day. Mr. Charles M. Province has contacted me with the request that due credit be given to his authorship of the poem, “It Is the Soldier”, which has, to my knowledge, for several years been attributed to Father Denis Edward O’Brien, USMC. Mr. Province has advised that Father O’Brien once sent a copy of the poem to “Dear Abby” and it was printed erroneously giving credit to Father O’Brien for writing it. It is at that point that the authorship became clouded. I reproduce this information in the hope of ensuring Mr. Province receives full, appropriate and most deserved credit for his wonderful piece. Father Denis O’Brien was born in Dallas on October 8, 1923, and entered the seminary in 1941. But when Pearl Harbor was attacked, he quickly volunteered for the Marine Corps. He said it was on that battlefield that he felt God’s call stronger than before. After he left the military service, he went into God’s service by studying at the Maryknoll Seminary in New York. Father Denis O’Brien went on to be a missionary to the poor, the needy, the terminally ill and the “unwanted” in East Africa and Mexico. Father O’Brien so impressed the leadership of the Mexican bishops’ conference that he was appointed respect life director, a job he performed remarkably for 25 years. He trained doctors, taught medical students, spoke to high school and college groups, trained parents, and did it with a love for human beings and respect for the magisterium of the Church. 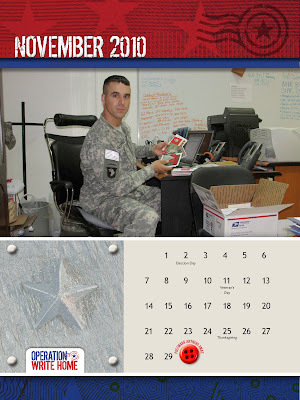 3,520 cards mailed to our heroes this week...Thank you to all our cardmakers who continue to make this work possible! One of our wonderful shippers is hanging up her tapegun! This happens from time to time, as those of you who've been with us a while can attest to — being a shipper is a demanding volunteer position, and most of our lives can't survive on hold for too long while the cards are a-waiting. We've had to say goodbye four other times, but it never seems to get easier! Fabre's been with us since February, and has done such a WONDERFUL job – but, she and her family have been sacrificing a lot for our heroes. Not only their dining room table, but her focus on other things like family time and their business. It's time to release Fabre joyfully to return to cooking with gusto (she's a chef, if you didn't know)! Please join us in thanking her for being such a gracious and dedicated shipper this year - for her heart and passion, for the extra time she's put in on bloghops and coordinating card drives at craft conventions, and the wonderful things she's done for our heroes! Leave your comments on this blog post for her - let's celebrate Fabre! Please refrain from sending your cards to Fabre; she's finishing up what's been sent, and will be passing on other cards and donations that come in, so let's let her mail return to a normal volume. With the exception, of course, of a thank you card if you wish to send her one! If you're sending a flat rate package in December, you can mail it to Kansas or Washington at no extra cost; if it's not flat rate and you'd like to hang onto it for our new east coast shipper in January, that's fine. We'll extend the 25+1 challenge til she's on board, so your cards can still be entered for our 20 prizes! And now, lest you worry, we do have another east coast shipper waiting in the wings! We'll have her start after Christmas, to allow her some time to prepare...and once she's ready we'll post her address in the Mailroom and introduce her on this blog - when we do, join us in welcoming her with cards! Some of you have asked why we don't have more shippers than we do. For a season we'd had five shippers, and found ourselves not collecting enough cards in each location fast enough to pack enough boxes to meet requests. For example, California might have a bunch of birthday cards, and Wisconsin enough love cards, but we couldn't get them together to pack up a requested selection. And we found that three seems to be the "right" number for most of the year. The future plan is to watch the quantities of cards as they continue, and determine the point at which we can likely add a 4th shipper and still be able to meet our heroes' requests. Another thing we're entertaining is adding a few shippers just for the holiday shipping season (September/October/November) to ease the load - if you're interested, stay tuned to our blog and enews for details next summer! How does Sears treat its employees who are called up for military duty? By law, they are required to hold their jobs open and available, but nothing more. Usually, people take a big pay cut and lose benefits as a result of being called up. Sears is voluntarily paying the difference in salaries and maintaining all benefits, including medical insurance and bonus programs, for all called up reservist employees for up to two years. I submit that Sears is an exemplary corporate citizen and should be recognized for its contribution. I suggest we all shop at Sears, and be sure to find a manager to tell them why we are there so the company gets the positive reinforcement it well deserves. It's always a great idea to let a business know if there's a special reason you shop there. What a way to encourage positive business practices! Sears rightfully deserves kudos for serving our nation's heroes by protecting their livelihoods like this! In this season of shopping, consider stopping at a Sears store even if it's not always on your go-to list of stores....and tell them why you're there! For today....let's share a little happy, if you haven't already posted our new fun video on your blog! Thankful Thursday Dec. 3, 2009: 8,579 cards! Many thanks once again...it seems so small a thing to say thank you....but you all bless our heroes so faithfully every week! Bless you all! Susan S. and the Big Wills Creek NSDAR, Gadsden, AL - Thank you for the fantastic three boxes of cards! You will make a lot of happy heroes! Lori R., Springfield, VA - Thanks for answering the call for some kids cards - they were simply adorable! Diane W., Stoneham, MA - Awesome kids cards - of course you know the dinos were the favorite! Thank you! Virginia H., Hamilton, OH - Thank you for the wonderful box of cards, thanks for sending a great assortment (and a very nice shipping donation also)! Missy S. and the students at Philadelphia University, Philadelphia, PA - Thank you so much for the wonderful any hero letters - the drawings were especially fun! Ruth T and Mason C, Carpinteria CA - thanks soooo much for all the valentines!!! Gabrielle W and Brownies Group, Houston TX......thank you girls for the great cards you made for our Heroes. They will love them!!! Great job! Louise S, Milwaukee WI.....thank you for the beautiful cards. Love them! Hannah M, Naples FL.....WOW, these tins are so cool. 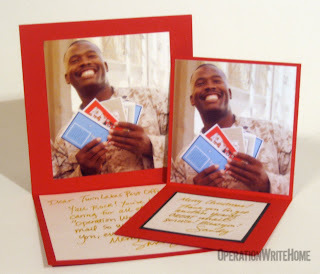 I know the service members will love these for keeping pictures of their loved ones in!!! Dolores A, Frederick MD - you're doing so GREAT at making cards, Mom! Thanks!!!! Jody S, Franklin WI.....wonderful cards!!! Love these....THANK YOU! Christine C, Forest Lake MN.....thank you for the lovely cards!!! Sonja H and Beta Epsilon Chapter., Snyder TX.....these cards are gorgeous. 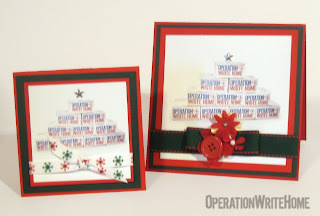 Love the thick felt ribbon you used on some of the cards! 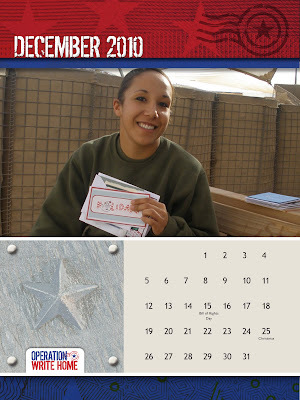 Jen H. and the ladies of Gamma Sigma Sigma, Slippery Rock, PA - Thank you so much for the cards for our heroes! Carol S, Milwaukee WI....a great package of cards. Thank you! Christine Z and the second graders, White Lake MI....your AnyHero letters made me smile SO big, I know our heroes will love them all! Tony F, Marina CA, thank you for your generous donation! Stacy C. and the Creative Crafts Group, Bluffdale UT - Thank you so much for arranging for a collection point at all of the Creating Keepsakes Conventions, thanks to you, well over 3,000 cards have been sent to our heroes this year! Happy Holidays! Kathryn G., Washingtonville, NY - What a beautiful box loaded with cards, thank you so much! Martie M, Dayton OH........Beautiful, absolutely wonderful cards!!! Appreciate the Any Hero cards as well! Kathleen R and Brownie Troop 20042, Chicago IL......girls you did a fantastic job on these cards!!! So bright and cheery!! Thanks. Mindy A. and the Ellicott City Rubber Stampers, West Friendship, MD - The Valentine's cards are spectacular, and thanks for preparing them perfectly for shipping! Cheryl Y, South Pasadena CA, so many beautiful cards...thank you thank you! Your donation is a big help too! 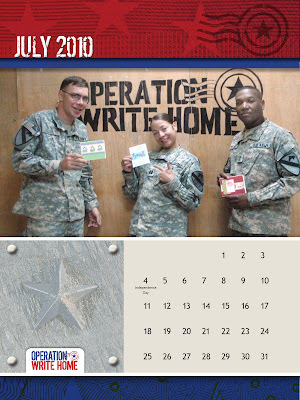 Sue B., Grand Blanc, MI - Thanks for spreading the word about OWH, and thanks for the cards!!! Becky F, N Highlands CA...love your cards so much! And the AnyHero cards are adorable...thank you! Ann L, Orem UT - you're so faithful to our heroes, God bless you real good!! Seongsook D., Elk Grove, CA - Thanks for the wonderful kids cards, and some any hero letters too! Very appreciated! 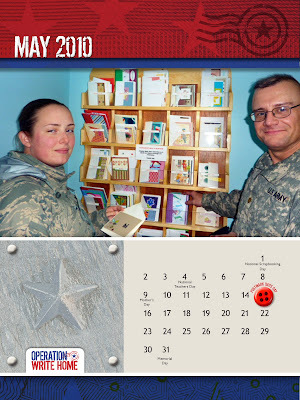 Nancy S., Potomac, MD - What a fabulous assortment of cards, thank you so much for sharing them with our heroes! Denise I., Williamsville, NY - Those coloring cards were adorable - what a great ideal to use Crayola valentines and create a beautiful card around them - thank you! Joanne M., Allentown, PA - Thank you for the adorable winter cards, they will bring a touch of home to a place far away! TILL Inc., Watertown, MA - Thank you so much for the lovely collage postcards - great job! Greg B, Virginia Beach VA - thanks soooo much for sponsoring boxes of cards...you are an awesome hero! 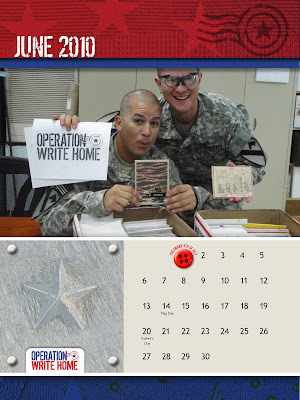 Becky and Marilea, Elk Grove CA, oh how I love your cards, and our heroes will too! The AnyHero cards from kids are precious...thank you! Tina H, Cosby TN.......an amazing box of cards. They are all gorgeous....love all the layouts and colors you used! Louise F, Frazier Park CA - oh my what beauuuuutiful love and miss you cards! Our heroes are going to LOVE them, thank you! Chris N, Big Fork MT - your cards are just wonderful, and have such a Montana flair to them...thank you to you and your friends! Joan W, Tacoma WA - ooooh more of your cute bears! Our heroes are going to love sending these to their kiddos. Thank you! Martha G, Elkins AR......WOW! These cards are absolutely gorgeous! Thank you! Christina R-K and Brownie Troop 978, Tallahassee FL......great job on the cards girls! Laura B, Oroville CA - cute cards, and what a lovely selection of themes - thank you! Dee M, Puyallup WA - love your cards....do you have a magical munchkin multiplying your stash? (He's a talented munchkin if so!) Thanks for the goodies for our next challenge too!! Debbie B. and the employees at Charles Schwab, Fishers, IN - Thank you for the box of any hero letters as part of your Veterans Day project! Kathy C. and the St. Augustine's Church, Ilion, NY - Thank you for the any hero letters! Kathy N, Athens AL......great cards! Love all the love themed ones! Ruth B and the Girl Scouts, Hillsborough NJ......what awesome cards for our Heros. They will so appreciate these wonderful notes from all of you!! Jeannine B and kids at Hackett School, Philadelphia PA......Great job on the Any Hero cards! Our heroes will love these! Rico R and kids at SER Metro-Detriot.......Great job. These cards are wonderful and will bring smiles to the faces of our Heros!!! Jeanne T, Barrington IL....thanks for the great cards and Any Hero letters! Much appreciated. Michelle G., Ellicott City, MD - Welcome to OWH and thank you so much for the fantastic donation! Kirstie H and Crafty Ladies II Craft Guild, Black Diamond WA - thank you so much for all the wonderful cards---and the generous donation! You're all a blessing! Debbie K., Burke, VA - Thank you for sending the great cards, and for thinking of cards for children - awesome! Susan C, Brandon FL - Love al your great cards, THANK you!!! 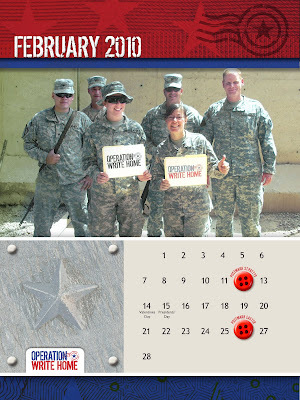 Therese D., Lewiston, ME - LOVE the Valentines, and the other great cards too - thank you for your donation! Lyneen J, Bremerton WA - just love all your vintage cards, thank you!! Danyse K., Charlotte, NC - Thank you so much for the wonderful cards and pens too! Cindy M, Pewaukee WI, so many great cards, thank you so very much! Stephanie G., New York, NY - Thank you so much for your wonderful donation - your cards will be snapped up! Victoria L, Cullowhee NC - I just love your cards! Thanks for joining the "miss you" day at my house! :) Your AnyHero cards and shipping donation are a blessing! Nancy C, Hollister CA - thank you sooooo much....you know how much I love sending miss you cards, don't you! Diane M, Kenmore WA - oh my!! So many beauuuutiful cards, thank you so much! Denise W, N Las Vegas NV, thank you for yet another wonderful box of cards! Lauren L, Plainfield IL....WOW! What a nice large box of cards!!! You sure packed alot of cards in there and they are great! Anonymous in Austin TX......thank you for the beautiful cards! Leah C, St Paul MN......great cards! Love them all! Sharla V, Topeka KS......great cards and Any Hero letters. Thanks for your continued support! YCMA Headstart in Dearborn Heights MI.....the kids did a great job making Any Hero cards. Thank you! Patricia F, Hixson TN.....another package of beautiful cards! Thank you! Sue A, Rockford IL.....another package of great cards. Love the popcorn card! Thanks! Phillina C, Gaithersburg MD.....Welcome to OWH! Your package was filled with beautiful cards. Thank you. Akiko H and Girl Scout Troop 42067, Mill Creek WA....Great Job girls. These cards are gorgeous!!! The Christmas Report - plus a challenge! Now that our holiday shipping is done....it's time to let you know what you achieved in these last few months! This has been an amazing season—the amount of cards, the number of new folks joining our OWH family, the numbers of heroes requesting cards....not to mention the incredible creativity packed into every box and every card! For those who love numbers, here you go...these compare the months of September, October, and November of last year and this year! 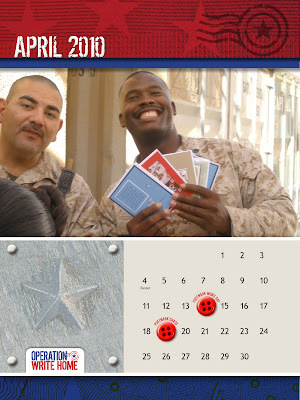 OWH more than DOUBLED last year's cards sent to our heroes! Congratulations to the cardmakers, financial donors, and shippers, as well as the heroes and families who receive the cards! If anyone wonders why our shippers are just a little tired, and possibly a little less than responsive lately....hopefully this explains it! :) They've done a beautiful job processing, counting, sorting, stamping, and shipping for months, and work so hard to make sure our heroes get wonderful selections in each and every box. A hearty thank you to them for all they do! We hereby and forthwith challenge each cardmaker to send in 25 cards in December - valentines or love cards, birthday cards, thank you cards, general cards - and 1 AnyHero card! Send them to any shipper, and you'll be entered in a drawing — we have 20 prizes available thanks to Elle's Studio! Include this Packing Slip to send in with your cards, as well as add 'Operation Write Home' to the backs of your cards, so our shippers can take a little less time processing your gifts while they also try to take time for their families for the holidays! Bloggers, we have new badges to get your readers thinking about sending in Love cards - check them out here and link them to this post on our Homefront Blog - so they, too, can see the size of the need we're going to be having.